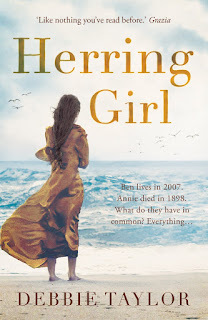 Set in a Tyneside fishing village, Herring Girl moves effortlessly between 1898 and 2007 as twelve-year-old Ben finds himself the unlikely conduit for Annie, a herring girl who lived – and died – a century earlier. As Ben tries to unravel the puzzle of Annie’s death, he is drawn irresistibly into her long-vanished world. Bringing the startling story of Annie’s life and curious death vividly to life, this brilliantly realised historical mystery introduces a cast of unforgettable characters, and reveals how the secrets of our past are never too far away. I saw a write up about this book in one of those free supermarket magazines a while ago and thought the reincarnation story sounded really interesting. I added it to my wishlist then spotted it in the library so snatched it off the shelf and rushed to the desk, naturally picking up another book along the way! 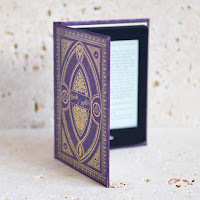 Unfortunately it was the hardback edition of the book so I found it a bit cumbersome to read for long periods but I did thoroughly enjoy the story. There are a lot of issues covered in the book including homophobia, trans-gender operations, broken families and past lives. Ben is a lovely young boy but he believes he should be a girl and feels trapped in his body, but perhaps it is his previous incarnation, Annie, who is trapped inside his body and trying to get her story heard. Ben's mother has moved to New Zealand to start a new life and a new family, so Ben lives with his Dad who is most definitely a man's man and can't understand what Ben is going through. Ben looks for support elsewhere and finds Laura, who runs the local cafe and Dr Mary Charlton who hypnotises him to extract Annie's story. I absolutely loved Annie's story, although sometimes I found the language hard to understand and I am from this area! I have no doubt it was authentic local dialect but I think perhaps a glossary in the back might have assisted some readers. The whole subject matter was fascinating to me - not just reincarnation but the possibility that groups of souls reincarnate and find each other in their next life. I loved the way the book was written from both Ben's and Annie's perspectives with both stories bringing tears to my eyes. Wonderfully researched, with a host of fascinating characters spread across the decades, this is a book that is well worth reading.